Has anyone been successful with loading OpenWrt on this device? ar7240wdt_init: Registering WDT VFS: Mounted root (squashfs filesystem) readonly. Please press Enter to activate this console. ag7240_mod: module license 'unspecified' taints kernel. lan mac = 00:01:23:45:67:89rc is BUSY now! standard_tftp_server launched on port 69.
yaffs Mar 14 2010 04:15:33 Installing. Obviously there's issues since this is for the DIR-615 C1, so it's using the wrong flash layout. I'll try making a profile for the E1 with the correct flash map, and see where it goes from there. Well, the U-boot recovery HTTP is dead now, and it doesn't seem to be using TFTP in recovery mode. So, my device is dead. This hardware is similar to the DIR-600 rev A1, so something to consider when porting to it. The Fry's FR-300RTR box (identical to D-Link rev E1) is difficult to get back to stock D-Link DIR615E1_FW500NA.bin FW after unsuccessfully loading factory-to-dd-wrt FW. Performed a 30/30/30 to get to the Boot Loader, and after the D-Link FW flashed, I waited an additional 80-90 seconds. I then had to restart the box several times, and finally do a 5 sec reset AFTER powering ON, to get the D-Link factory screen to come back on??? Maybe this hardware requires additional step after the boot loader finishes flashing (100% - about 100 seconds), to get the new firmware to actually "load". process, etc ? I'd much rather use OpenWRT than DD-WRT. Hope that helps and gets us closer to support for Revision E1. Hello Regressor. I saw the wonderful USB work you have done on the DIR-615 C1. The E1 board looks a little different, especially on the bottom side, but I don't think it will be too hard to figure out with your work as a guide. I plan to try it when I can find the USB port part to solder in. One thing that may be missing on the E1 is the USB rref resistor pad. Do you know which CPU pin this is connected to? I may have to do it on the top side of the board. For some reason gpio7 seems to have no function on the FR-300RTR and can't make the WAN light turn on, but gpio13-16 do work on the LAN port LEDS. It also has no external buttons except for reset which also has no function with the DIR-600 based gpios. Reset should be connected to gpio8. 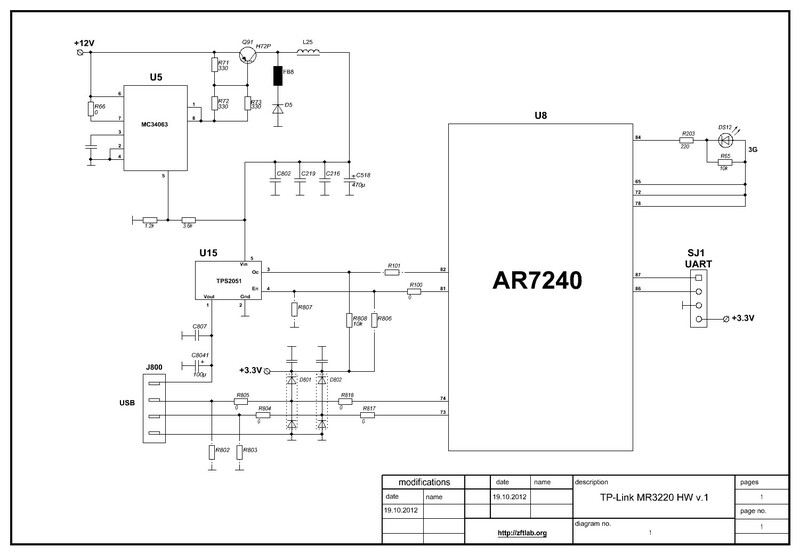 I think ar7240 doesn't require usb rref resistor - you only need solder 4 resistors, one wire (from +5v power source) and usb socket. 3. At each gpioN from /sys/class/gpio/ try "echo out > direction && echo 1 > value" looking at leds. Sadly, my USB test is not successful on the E1. I installed the two 22 ohm resistors in the D+ and D- lines, added the 5v jumper and the two 15k pull downs. I ohmed out the USB pins all the way back to the CPU and it seems OK with no shorts, but I get no voltage at the D+ or D- pins with a thumb drive attached. Something else must be missing in software or hardware for this model. I found two more gpios for the FR-300RTR though. gpio01 is for the "Status" LED, and gpio17 is for the "Internet" LED. Please made some hi-res pcb photo (unshielded cpu) - may be we missed something like rref resistor. Thanks Regressor, but I have solved it this morning! I did not load the OHCI module before. Once I did it came right up. I did not need to use the patch to setup.c ( ar71xx_pll_wr(0x08, 0x00001030); ). I just added 'select AR71XX_DEV_USB' to Kconfig and patched my mach-dir-615-e1.c file with the usb initialization call. Now I'm not sure if USB2 is supported on this chip. I'll do some tests and see how it is working. So now we know for sure that USB is working for the $29 Frys FR-300RTR! P.S. Patch ar71xx_pll_wr(0x08, 0x00001030); is for ar91xx. USB PLL register for ar71xx is a 0x04 --> "ar71xx_pll_wr(0x04, 0x00001030);"
My results with the USB mod are reasonably good. The controller is USB 1.1 only and has problems with some USB2 devices. I have a memory stick and a USB2 hub that just won't work on it. Interestingly, I have an old USB 1.1 only hub and with that hub, the memory stick that won't work if plugged into the on-board USB port, does work. With the hub, memory stick for external root filesystem/storage, a USB sound card, the MPD package and Ario on my PC, this little router is now a really nice WiFi radio! The only thing I am really missing is that this radio does not support a client bridge mode. I imagine I can find a good way to work around this with proxy arp and iptables. Sorry Regressor, but I don't have any access to a camera that can make good pictures at close range. what about with the 615C1 rev A2?? anyone have any luck? Hi, found this thread via google and i'm necroing it in hopes of finding a solution. I have a Dlink DIR-615 Revision E1 which i have been trying to get working as a client bridge for several days. I threw DDWRT on it, which appeared successful, but after a random amount of time between ~1 and ~10 minutes of running the router simply stops responding and must be hard reset. Bridging is unsuccessful, though i was advised that OpenWRT had better bridging support, so i came here in hopes of installing OpenWRT instead. I would be happy to hear any advice or insights on the matter, and i'm eager to help. At this point the wiki seems to imply my revision isn't fully supported, i would be happy to mail my router somewhere (for science!) if someone thinks they will be able to make advancements and get it working. 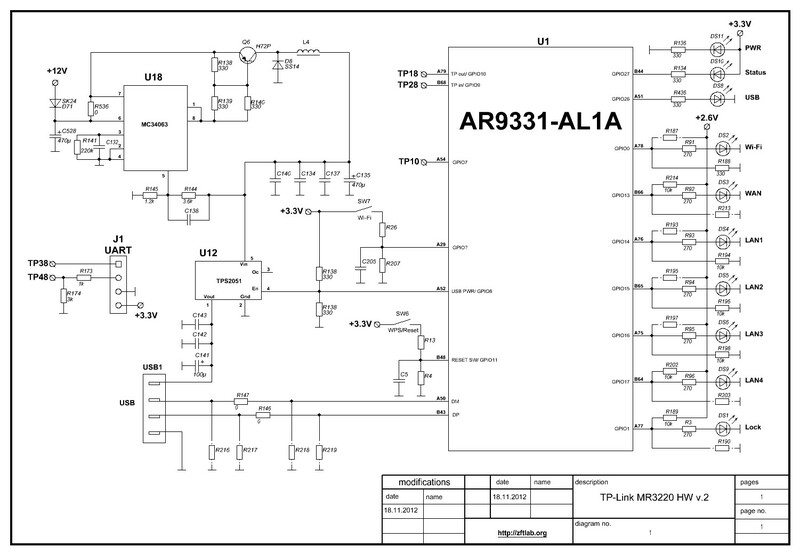 What is the voltage regulator (VR1) and the minimum number of other components? I'm afraid to spoil the USB device if the power supply will fail. Help me please, the wiki how to mod usb no image. anyone please give me fw openwrt support usb mod for dir 615 E4.